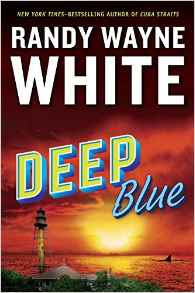 DEEP BLUE is White’s 23rd Doc Ford book. He has also had four collections of his columns for Outside magazine and elsewhere published – and the new Hannah Smith series has recently debuted with GONE. In 2002, a one-hour documentary film called The Gift of the Game, about Randy’s trip to Cuba to find the remnants of the Little League teams founded by Ernest Hemingway in the days before Castro, won the “Best of the Fest” award from the 2002 Woods Hole Film Festival, then was bought by PBS and broadcast station by station in the spring and summer of 2003.